This important case is all about “standing” before the EU courts, namely the ability to complain about some EU act that affects you. Lack of standing means that even if a measure was wrong and unlawful, you cannot get your foot in the door of the court. Domestic rules are quite relaxed, though proposals by Government to make it more difficult to sue Government and other public authorities are currently being consulted upon. But you cannot say that an EU law is unlawful without going to Luxembourg. Recent Treaty amendments in Lisbon have, it will be seen, made little difference to the result. The case concerned Inuit seal traders who wished to challenge an EU Regulation. This prohibited the placing of seal products on the EU market unless they were traditionally hunted or occasional or on a non-profit basis. But could the traders go to Luxembourg to say it was unlawful and should be annulled? One needs to tangle with Article 263 of Treaty on the Functioning of the EU. I called it previously a masterpiece of opacity and I need to explain how it works – in terms drawn from my last post. (C) against a regulatory act which is of direct concern to them and does not entail implementing measures. (A) only helps the tiny number of persons actually named in a measure. The phrase “individual concern” in (B) has been narrowly defined by the EU Courts since the early 1960s. This Inuit case is about an EU ban on seal goods – it is not enough to be an EU seal good importer for such a ban to be of “individual concern”. You have to be distinguished individually in the measure – the fact that your trade is affected like that of all other seal goods importers is too generic to be “individual”. “Direct” is not so difficult – it is “direct” if the act directly affects the legal situation of the applicant, and leaves no discretion to those who have to implement the act. If discretion is allowed, then you may be able to challenge the institution exercising that discretion, rather than the law under which the discretion is exercised. This leaves (C), a creation of the Lisbon Treaty, which was intended to broaden the standing rules – but by how much? Note it still has to be of “direct” concern (which hurdle some of our Inuit claimants scrambled over). But, and this was the major problem for the Inuit, (C) does not cover all EU acts – only “regulatory” ones, whatever that means. It does however get rid of the requirement that the regulatory act be of “individual” concern in addition to being of “direct” concern. The Court decided that regulatory acts in Article 263(4) do not include legislative acts. The act under challenge in this case was EU Regulation 1007/2009 made by the EU Parliament and Council, and was therefore a legislative act and unchallengeable. Contrast, say, an implementing regulation made by the Commission alone, filling in the details not dealt with in the primary Regulation, which could be challenged under Article 263(4) if of direct concern. The phrase “regulatory act” is not defined in TFEU. As I pointed out in my previous post, one has to be careful about assuming that a regulation is a regulatory act, because the reg- prefix to “regulatory act” only occurs in about half of the official EU languages. The Court, following the lead from the AG, looked into the legislative history of the amended Article 263 (then 230) which was rooted in the proposed Constitution which the EU never got. The difficulty about this argument, as the Court pointed out, was that the Lisbon Treaty, drafted in the light of the settled case law on “individual,” chose not to make an amendment to (B), and decided to modify standing rules by amending (C). Indeed the travaux preparatoires for the proposed Constitution expressly said that (B) was not to be altered: . Prospectively, this is almost impossible to satisfy, with its only area of likely application where the decision has retrospective impact on the applicant. The standing rules apply in actions for annulment – proactive action, using the law as a sword. But they do not stop someone arguing defensively that he should not be prosecuted under the law, because it is invalid. Where the measure is an EU law, that can only be determined by an EU court, and domestic courts have to refer the case to the CJEU if they think there is any real doubt about it. This means that cases get to the CJEU in which individuals can in effect get a law struck down, but only reactively. A-G Jacobs in UPA made all the obvious points about why this was not a very sensible way of going about things, not least because it might involve deliberate law-breaking in order to trigger a prosecution. Better to know where you stand as early as possible. And this is all the starker in the Inuit case. The Inuit would have to get their stock from Qikiqtarjuaq or wherever into the EU and then be prosecuted for it. The Court did not really engage with these points, once it had decided that Lisbon had positively decided to leave the existing case law alone. A-G Kokott had engaged with the reasoning. She said that it was always open to an individual to seek an opinion as to lawfulness from a domestic body and to request confirmation that the requirement or ban in question is not applicable to him. 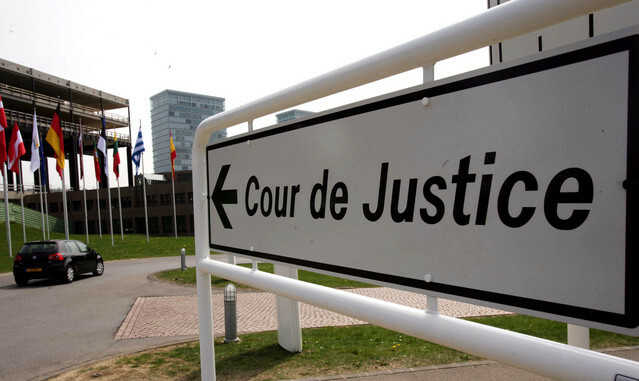 A negative decision by the national authority must, on grounds of effective legal protection, be open to review by national courts, which may refer the question of the validity of the underlying EU act to the Court for a preliminary ruling. If it were a matter for an EU body, the individual may request confirmation that the requirement or ban in question is not applicable to him. The body would have to decide on that request. Helpful advice from the A-G as to how to get your case permissibly into the CJEU. The Inuit also sought to rely on the right to an effective remedy in their arguments about the narrowness of the standing rules. They relied upon Article 47 of the Charter of Fundamental Rights and Articles 6 and 13 ECHR as general principles of EU law. I described this earlier as a bootstraps argument. If you cannot get standing out of Article 263(4), then the Charter is never going to get it for you. It would only be if there was a real doubt after looking at the terms of the Treaty. We are where we thought we were. Repeated attempts to batter down the door of standing have failed. What have the Inuit got to do with keeping EU law in check?